I recently purchased some pegboards from Oriental Trading and I love them! Luckily, my children love them even more. Since the colors are so vibrant, it was only natural that I would use them for some toddler color games. 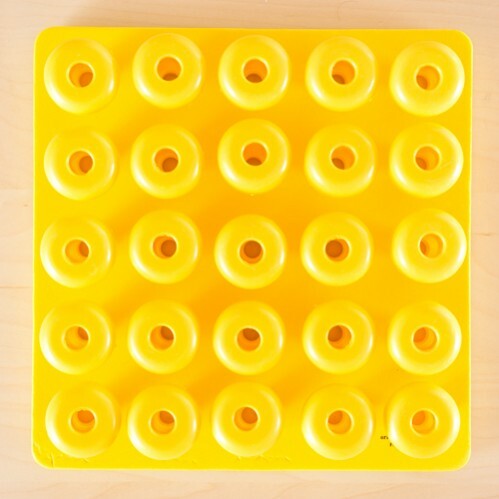 If you do buy this particular set of pegboards and pegs from Oriental Trading, I suggest putting all off the pegs in the holes and letting them sit for 1-2 days. The holes for the pegs were very small when they first came and Little Bear had a very difficult time putting the pegs in. Smiley Man tried once and immediately gave up because it was way too difficult for him. Luckily, I had the idea to put all the pegs in and let them sit for a couple of days. The holes are just the right size now and both Little Bear and Smiley Man love playing with the pegboards. Here are the color games I made up. There are two different versions: a toddler version and a preschool version. The toddler color game mostly focuses on color recognition, but fine motor skills are definitely included. 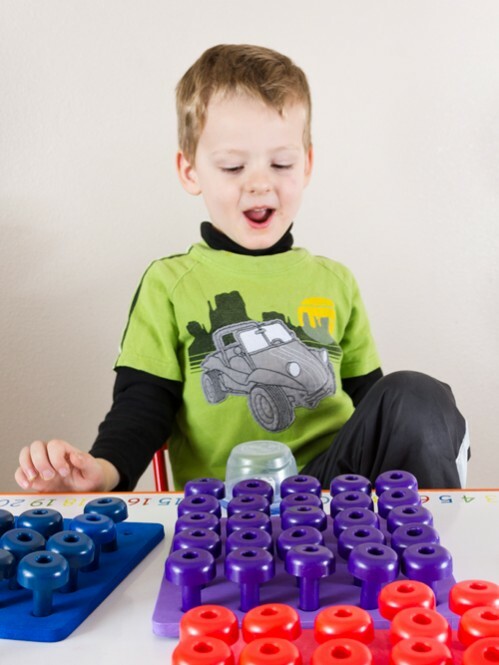 The preschool game includes color recognition, number recognition, counting, color discrimination, and fine motor skills. Little Bear and Smiley Man both love these color games. Set out 2-6 of the pegboards and have matching pegs next to each color of pegboard. 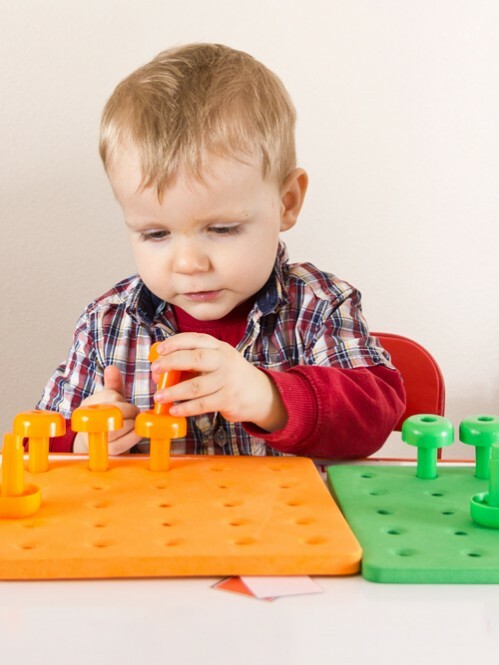 Use fewer pegboards for a young toddler and more pegboards for an older toddler. Mix up the pegboard color cards (only include the colors of the pegboards that are set out) and place them in a pile face down near your toddler. Have your toddler pick up the top card. Name the color or have your toddler name the color. 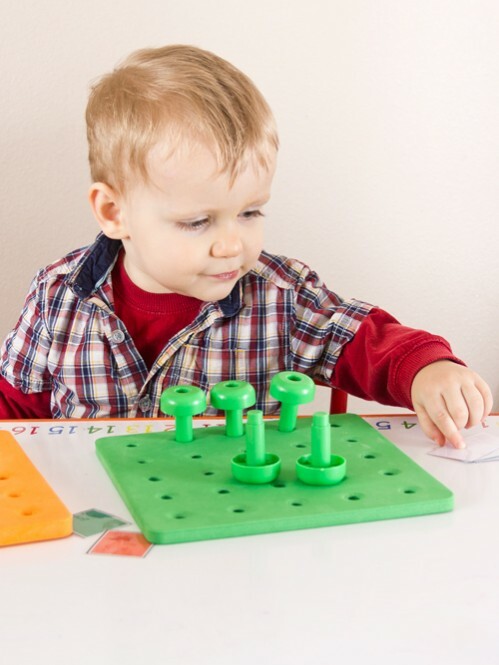 Have your child pick up a peg of the matching color and put it into the matching color pegboard. Repeat with the next card. Continue until one pegboard has all five pegs in it. That color is the winner! Set out all 6 pegboards and all of the pegs for each color (for the sake of the photo we just did 3). If desired, put all the pegs in a big pile without sorting by color. 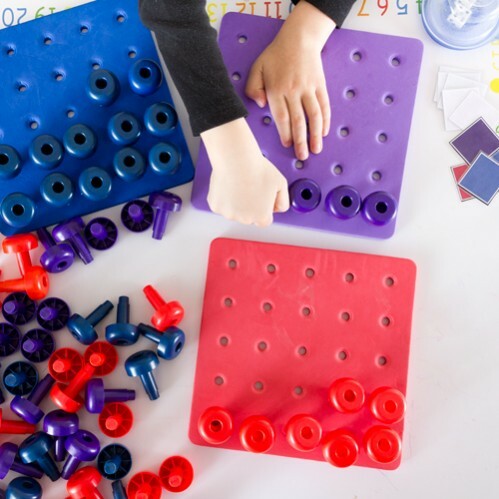 Mix up all pegboard color cards and place face down near your preschooler. Put 1-2 dice in a clear plastic container and put near the pile of color cards. Have your pick up the first color card and have them name the color. 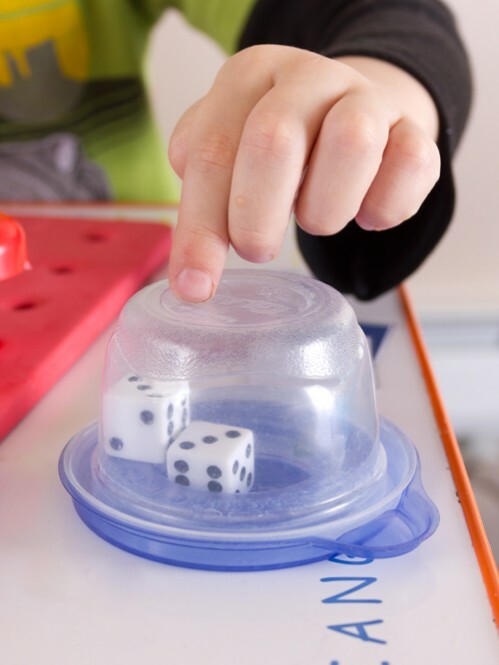 Next, have your child roll the dice and count the dots on the dice. Have your preschooler put that number of pegs into the matching color pegboard. Draw another color card and draw the dice. Now, put that number of pegs into the matching color pegboard (the color of the card that was just drawn). Continue until one pegboard is completely filled with pegs. That color is the winner! 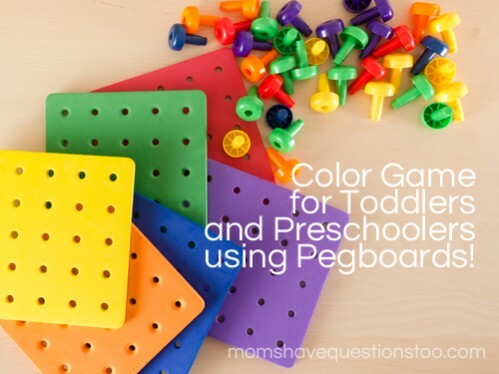 You may need to print off two sheets of pegboard color cards for the preschool game. This game can easily be played with pompoms and construction paper if you do not have pegboards. If you do use pompoms and construction paper, I suggest drawing dots on the construction paper so the pompoms have an obvious “spot” on the paper. 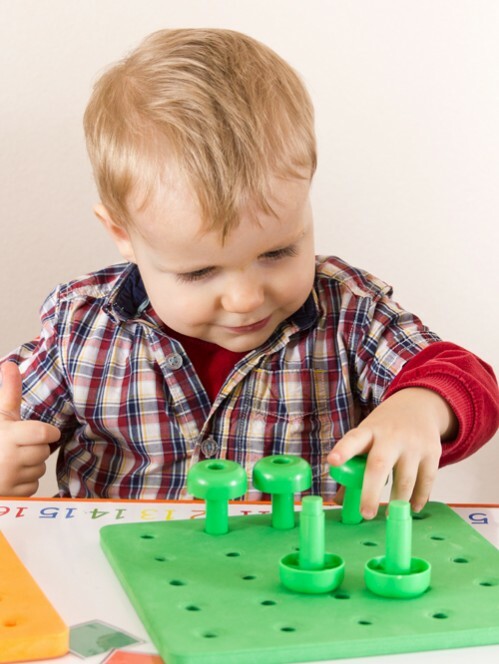 However, pegboards are great for fine motor development, plus they are extra fun for kids. I love my set of pegboards from Oriental Trading and definitely recommend it. Don’t forget to check out all of our other color posts too!